The Neighbourhood Plan for Godmanchester has now been completed with valuable input from many residents. Now we need your support in a referendum to ensure it is used to determine planning applications in Godmanchester. 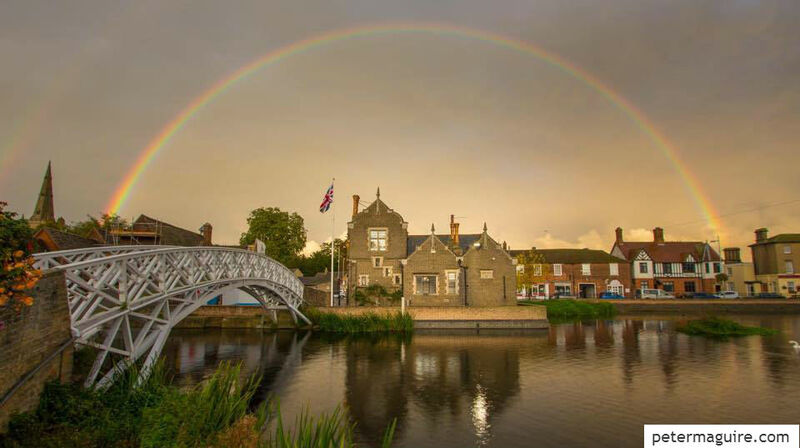 Do you want Huntingdonshire District Council to use the neighbourhood plan for Godmanchester to help it decide planning applications in the neighbourhood area? Why vote YES for the Neighbourhood Plan? Our Plan will sit alongside Huntingdonshire District Council’s new Local Plan to 2036. The planning policies in our Neighbourhood Plan will help ensure any new development in Godmanchester makes it an even better place to live, work and visit. Having a Neighbourhood Plan also allows us to get 10% more money from developers for things that will make a difference locally. 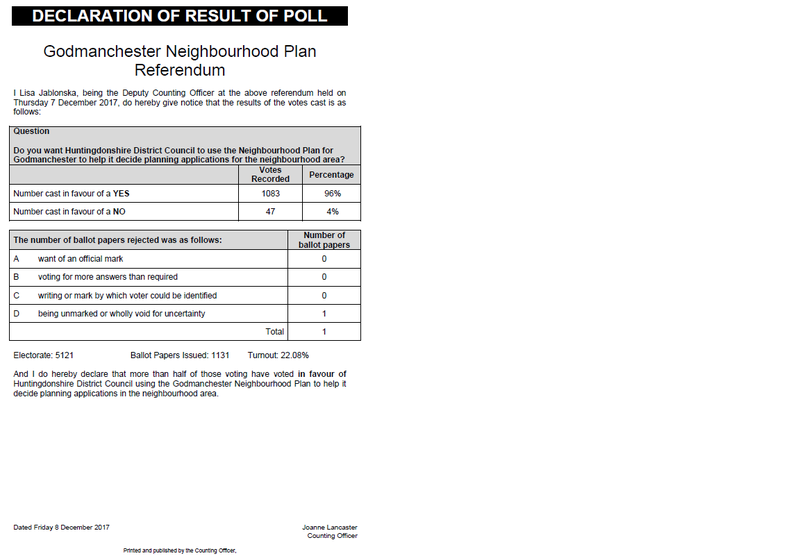 If the Neighbourhood Plan is not adopted we loose some of our say as a Town. Protect and enhance our beautiful tranquil countryside, open spaces, our historic heritage and improve the appearance of the historic core. If you have any questions or concerns, please ring the Town Council on 01480 388870 and one of the Neighbourhood Plan team will get back to you.